The Sue Adler Team is Hiring! The #1 Real Estate Team in The State of New Jersey is Hiring Talented, Hardworking, Career-minded individuals looking for the opportunity to have a career worth having, a business worth owning, a life worth living, an experience worth having, and legacies worth leaving. Keller Williams Realty Premier Properties is hiring licensed sales associates to join the #1 Keller Williams Team in the state of New Jersey The Sue Adler Team. We have been the No. 1 Keller Williams Team in New Jersey for ten years running, with an average price point of $950,000 and yearly dollar volume of $200 Million+, putting us as the #1 TEAM IN NEW JERSEY for the past four years and consistently top 10 in the country for Keller Williams out of over 190,000 agents. Sue was named one of Inman’s 100 Most Influential Real Estate Leaders for 5 years and our team receives referrals from agents all over the world. Our culture is all about creating opportunities for ongoing professional and personal growth through training, helping you reach your goals through mentorship, weekly one on one productivity coaching. and our empowering “team advances”. We also care deeply about the communities we serve and our success becomes the success of the community through our Annual 100th Home Sale Charity Program. Keller Williams Realty Premier Properties is hiring licensed sales associates to join the #1 Keller Williams Team in the state of New Jersey The Sue Adler Team. This is an excellent long-term opportunity for a highly motivated dedicated person, to join the #1 Keller Williams Team in New Jersey, with great potential for advancement. Please only apply if you have a strong work ethic, local area knowledge of the the Mid-Town Direct train line towns, are learning based, and are committed to superior client service and market mastery. You’ll receive world-class training and productivity coaching from Sue Adler Team, access to our amazing support staff, lead generation and all marketing; the opportunity to grow to new levels within the team, Because you will have access to our lead generation & great follow up systems, you will opportunity to make $150,000+ a year without any expenses. • Ready and willing to commit to 3-4 hours of daily prospecting & lead nurturing – you bring a strong work ethic to convert our team generated buyer leads into sales as well as prospecting to generate your own pipeline. • Phenomenal follow-up and phone skills are a must! • Local knowledge of the Midtown Direct Train Line towns is a must! • An impeccable reputation for integrity in the real estate community. • Possess a deep passion for above and beyond service and advocacy for clients. • You are warm, approachable, personable and comfortable with meeting new people & building new relationships. • Minimum 1-year experience as a Realtor or successful track record in another sales role. We are currently interviewing candidates, so if this sounds like something you would be interested in, and you are a fit, please email your resume along to opportunity@sueadler.com. If chosen you will be a licensed agent with Keller Williams Premier Properties. 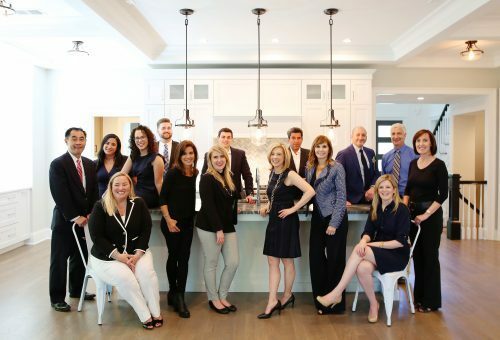 The Sue Adler Team is currently hiring for an Inside Sales Associate to work alongside our listing agents and buyers agents to find homeowners looking to sell. We are the top residential real estate team in the state of New Jersey and #8 internationally for Keller Williams. This year we are on track to close 250+ transactions in 2019 and we are looking to grow even bigger to take it to the next level! You must have exceptional phone skills and a passion for phone-based sales, enjoy making 200+ calls a day, and be the type of person who gets excited every time you set an appointment and uses rejection as a motivator to find greater success. You have a fire in your belly and you don’t give up. You are looking for a long-term career not a part-time job. You would be described as “tech savy” and like to learn things as you go. You’re extremely organized with great follow up skills and hate to let things fall through the cracks. You come off as genuine and intelligent, are great at instantly developing rapport and you have a strong track record of closing. You look at each call as an opportunity to win and understand that it may take several “no’s” to get to a YES! Candidate must be willing to get their New Jersey real estate license. Competitive compensation plan includes Salary + Bonus on closed transactions. With a solid work ethic, the right candidate can make 6 figures. We are currently interviewing candidates, so if this sounds like something you would be interested in, and you are a fit, please email your resume along to opportunity@sueadler.com.